Steve has been helping people buy and sell real estate since 1973. His team has sold nearly 3000 homes and over $750,000,000 in sales volume. 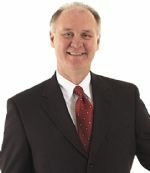 His designations include: Accredited Buyers Representative, Certified Real Estate Brokerage Manager, Certified Residential Specialist, Graduate Realtors Institute, Seniors Real Estate Specialist, GREEN, Certified Distressed Property Expert, Cyberstar, and ePRO. His hobbies include reading, motorcycles, boats, snowmobiles, golf, and travel. Lori is an Executive Closer with Trademark Title. She started out working part time at a title company as a receptionist while attending school for nursing. One thing led to another and she quickly became a closer…and so goes the story…she ended up being a different kind of nurse for the next 20 years! She soon discovered that helping first time home buyers understand their mortgage process and how it works was her passion. She understands how the numbers work and has great insight into how to make closing transactions smooth and uncomplicated with some fun and laughs along the way. Her volunteer experience has helped her have an impact in the lives of families in her community. Her favorite is buying gifts at Christmas for families and making deliveries to see the joy on their faces! Favorite quote: “Do right. Do your best. Treat others as you want to be treated.” ~ Lou Holtz. Your title experience is only as good as the people you work with. With us, you’ll enjoy your experience. Our associates are committed to providing you solutions crafted to streamline your workflow for the most efficient closings possible.